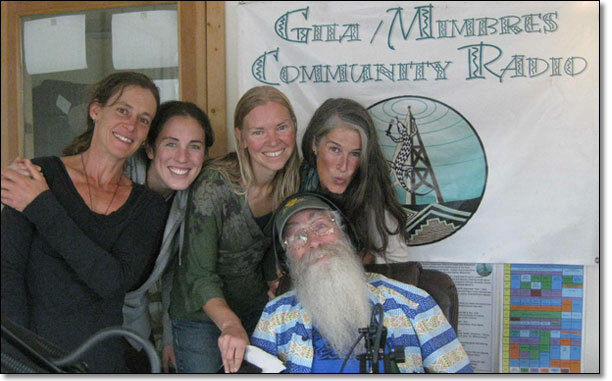 Thanks to your generous support, GMCR launched KURU 89.1 FM and we are now close approaching two years of 24/7 FM broadcast! Whodathunkit? One of the spark plugs of our pledge drive is Challenge Donations where those with deeper pockets urge us to collectively match their generosity. We thank them profusely for their support and encouragement. Early in our development we envisioned 1,000 members as a critical mass to insure stable operations and editorial independence. Our inaugural pledge drive in April resulted in dozens of new members, and more just now in our Fall Pledge Drive but we still have a long way to go to reach that 1,000 member threshold. And though we’ve finished our 2nd pledge drive, if you’re not yet a member there’s never a better time than Right Now to push us a little close to that magic number of 1,000 members. And Hey! It’s easy! Visit GMCR.org and select one of the PayPal options or pay with your credit card without having a PayPal account. Or make a check payable to GMCR and mail it to the address below or just stick it in an envelope and drop it in the mail slot at the station. Membership is $60 a year for individuals, $120 a year for a household, and $240 a year for patron level. But don’t panic! You can donate as much as you wish! And we graciously accept any amount that you can afford. Or, you can support GMCR with a PayPal Subscription at $5, $10, $20 a monthly or via an auto-payment from your own bank. And, of course, we want to express our appreciation and thanks to all who were there in the trenches for the duration of the pledge drive – answering phones, rallying our listeners, playing music, performing theater pieces, sharing their experiences, giving testimonials, and just plain gushing with enthusiasm about how GMCR has grown and gotten better. And allow us to make mention of our fantastic food angels. Unless We Eats We Dies!